What is the cheapest way to get from Chiang Rai (State) to Bagan? 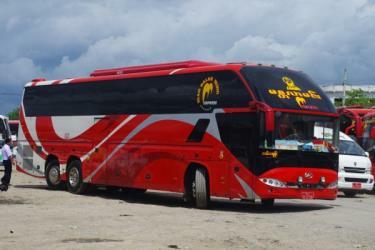 The cheapest way to get from Chiang Rai (State) to Bagan is to bus which costs ฿1800 - ฿2400 and takes 29h 31m. What is the fastest way to get from Chiang Rai (State) to Bagan? The quickest way to get from Chiang Rai (State) to Bagan is to drive which costs ฿3100 - ฿4600 and takes 16h 36m. How far is it from Chiang Rai (State) to Bagan? The distance between Chiang Rai (State) and Bagan is 543 km. The road distance is 1102.5 km. How long does it take to get from Chiang Rai (State) to Bagan? 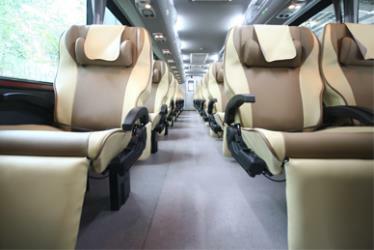 It takes approximately 29h 31m to get from Chiang Rai (State) to Bagan, including transfers. 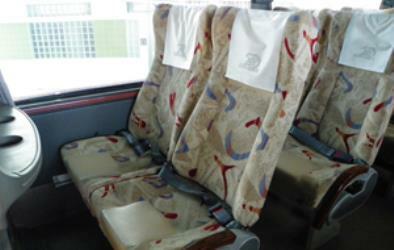 Bus or fly from Chiang Rai (State) to Bagan? 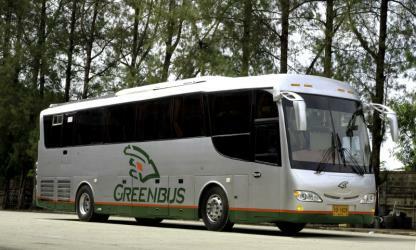 The best way to get from Chiang Rai (State) to Bagan is to bus which takes 29h 31m and costs ฿1800 - ฿2400. Alternatively, you can fly, which costs ฿4900 - ฿13000 and takes 19h 6m. How long is the flight from Chiang Rai (State) to Bagan? There is no direct flight from Tachilek Airport to Nyaung-U Airport. The quickest flight takes 18h 45m and has one stopover. What is the time difference between Chiang Rai (State) and Bagan? Bagan is 30m behind Chiang Rai (State). It is currently 11:01 PM in Chiang Rai (State) and 10:31 PM in Bagan. Can I drive from Chiang Rai (State) to Bagan? Yes, the driving distance between Chiang Rai (State) to Bagan is 1102 km. It takes approximately 16h 36m to drive from Chiang Rai (State) to Bagan. Which airlines fly from Tachilek Airport to Nyaung-U Airport? 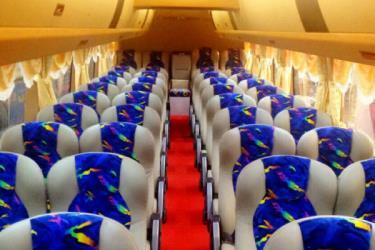 Golden Myanmar and Mann Yadanarpon offer flights from Tachilek Airport to Nyaung-U Airport. Where can I stay near Bagan? There are 145+ hotels available in Bagan. Prices start at $18 USD per night. What companies run services between Chiang Rai (State), Thailand and Bagan, Mandalay Region, Myanmar? 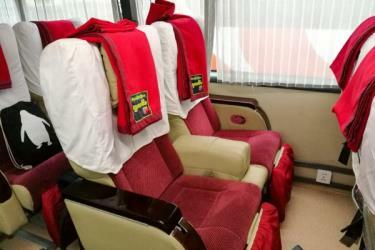 You can take a bus from Ban Fang Tuen to Bagan via พาน Phan, Lampang, Maesod, Myawaddy, Yangon Aung Mingalar, and Bagan Shwe Pyi in around 29h 31m. Alternatively, Mann Yadanarpon and Golden Myanmar fly from Mae Sai to Bagan once daily. Rome2rio's Travel Guide series provide vital information for the global traveller. Read our range of informative guides on popular transport routes and companies - including The London Underground: Essential tips to navigate the Tube, 4 stunningly beautiful Philippines islands you need to visit and How to get from London to Edinburgh - to help you get the most out of your next trip. How do I get to Tachilek (THL) Airport from Chiang Rai (State)? The best way to get from Chiang Rai (State) to Tachilek Airport is to drive which takes 10m and costs . The Shwesandaw Pagoda is a Buddhist pagoda located in Bagan, Burma. The pagoda contains a series of five terraces, topped with a cylindrical stupa, which has a bejewelled umbrella (hti). The pagoda was built by King Anawrahta in 1057, and once contained terra cotta tiles depicting scenes from the Jataka. Enshrined within the pagoda are sacred hairs of Gautama Buddha, which were obtained from Thaton. The Gubyaukgyi (alt. Kubyauk-gyi) temple, located just south of Bagan, Myanmar, in Myinkaba Village, is a Buddhist temple built in 1113 AD by Prince Yazakumar, shortly after the death of his father, King Kyansittha of the Pagan Dynasty. The temple is notable for two reasons. First, it contains a large array of well-preserved frescoes on its interior walls, the oldest original paintings to be found in Bagan. All of the frescoes are accompanied by ink captions written in Old Mon, providing one of the earliest examples of the language's use in Myanmar. Second, the temple is located just to the west of the Myazedi pagoda, at which was found two stone pillars with inscriptions written in four, ancient Southeast Asian languages: Pali, Old Mon, Old Burmese, and Pyu. The inscription on the pillar displayed by the Myazedi pagoda has been called the Burmese Rosetta Stone, given its significance both historically and linguistically, as a key to cracking the Pyu language. Rome2rio makes travelling from Chiang Rai (State) to Bagan easy. Rome2rio is a door-to-door travel information and booking engine, helping you get to and from any location in the world. 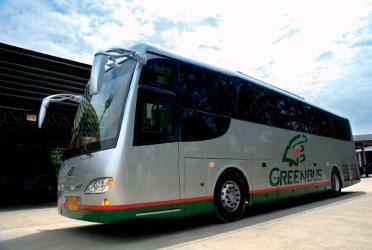 Find all the transport options for your trip from Chiang Rai (State) to Bagan right here. Rome2rio displays up to date schedules, route maps, journey times and estimated fares from relevant transport operators, ensuring you can make an informed decision about which option will suit you best. Rome2rio also offers online bookings for selected operators, making reservations easy and straightforward.